Okay a bit of a plug for my mates 5th album he released the other week on Soundcloud. The miracles of modern technology makes it possible for someone to produce their own stuff, unthinkable (without a lot of dosh!) 20 years ago. He wears his influences on his sleeve with the added tongue in cheek lyrical twists. Primary a guitarist, then keyboardist and then a reluctant vocalist (he would agree with me on that!) Here is the sound of a musician at home (literally) using all the modern technological toys and just creating good songs. They all have their own hooks and feel, variety being the spice of life. Opening with the frantic, “Losing In Control” Dave hooks an almost Jethro Tull-ish riff over a tale of hanging on to love and companionship for the stability of a relationship. The second track is my current favourite “Blood In You” about how traits can be handed down. Great vocals, driving bass and stabbing guitars. Soaring synth leads keep that link with technology. Third track is the unusually titled “New In Box” about being protective of a new partner, Stone Roses guitar and some stinging lyrics. Up next is “Hideaway” , guitar lead with plenty of jangly 80’s effects. Quite serious in tone. “Switchblade” romps along doffing a cap to Big Country and again has a dark side. Another favourite is the “Only Son” based on a slide guitar riff it’s an atmospheric country and western feel to it, with impassioned vocals delivering a message to an estranged son. “Rollercoaster” is simply about the joys going to the Pleasure Beach at Blackpool, simples. We get dual vocals on “Heaven Sent Me Down” and driving guitar. A homage to synthpop next with the squelchy sounds of “Winter Disco” harking back to days of the youth. Another slice of humour on the odd “Mr Squeeze” and his unsavoury habits; keeping a slow, Rockabilly tip. “Cross the Line” brings the rock guitar back to the mix with a flourish. “Monster” has a big, synth bass and vocoder fighting it out with more rock guitar, primeval love. Finishing off we have two contrasting but equally listenable tracks. “On a Clear Day” is another slower, melancholic power ballad, with duelling synth and guitar.” The Olympics” closes the album with a bit of an indie dance shuffle. 14 tracks, so plenty for everyone! Hats off to Dave for getting this out. I admire anyone with this amount of talent, just wish someone would pick up on it and shout it from the rooftops! Cheers mate! The one with the Pet Shop Boys from 1995. Guiltily this one of my favourite Bowie tracks it just seems to work with the grandiose synths, the 7″ remix far superior to the album version which is grittier and more industrial sounding as Bowie described at the time “like Jim Morrison meets industrial” This smoother version has Tennant alluding to “Space Oddity” on backing vocals. With a couple of live B-sides and a more genuine attempt to be industrial with “Hearts Filthy Lesson” (which appeared in the film Se7en) This was a record company trying to desperately give fans memories of past glories, which were rapidly diminishing through Bowie’s output in the 90’s. Well most seem to have enjoyed the last Volume series so here is another; again featuring a diverse set of artists and musical styles. For fans of individual bands you will find a rare mix or demo that you might not have been aware of. Coming out at the end of 1992 it sums up the various styles at the time. It starts off with the sheer, weird brilliance of The Orb,recorded live at Aylesbury Civic Centre. Goes all dancey and electronic, then acoustica and finally turns into an Indie compilation with a very rocky Morrisey track. 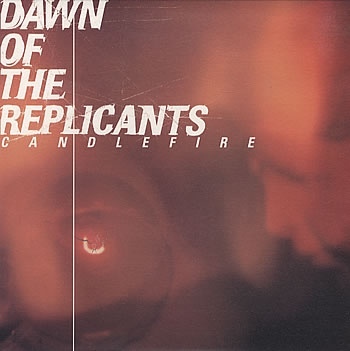 A bit of a classic from Scottish Indie band, Dawn Of The Replicants. 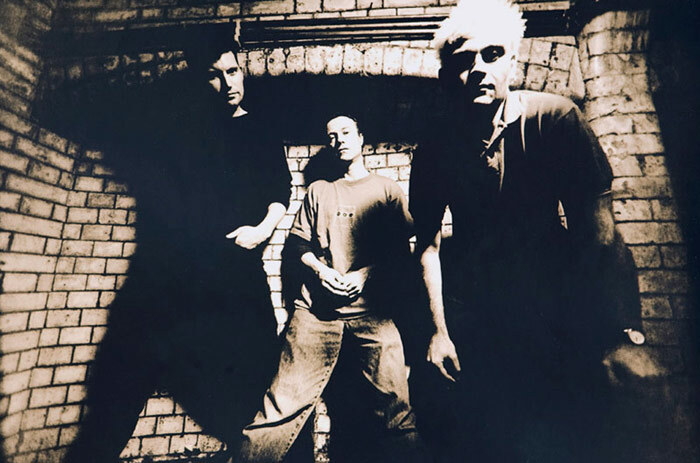 Released on the nearly indie label, EastWest, in 1998 it was backed by “Skullcrusher” remixed by the Dom , David Holmes and Tim Goldsworthy with added Melotron by Darrin Morris. This has beats aplenty and feels a bit like Ian Brown’s solo effort, very spacey! From 1997 and on the “Dubnology Presents”… series, some deep down ‘n dirty tunes on Mother Earth Recordings label. Starting with Jammin’ Unit featuring Mary S Applegate giving us a dark slice of atmospheric trip hop. The wonky techno sounds mixed with Big Beats of Futurecore are next with the first version of the title track. 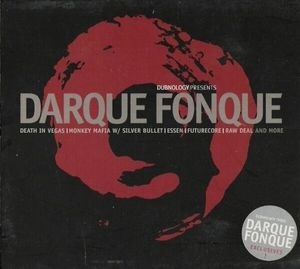 Monkey Mafia bring on the breaks and percussion and junglism, with guest rapper Silver Bullet, on the sub-bassed “Ward 10.” Mindbender almost borders on slow tempo industrial with some great bass. Dust Devil (Mark Brightman) brings a touch of Aphex Twin weirdness. 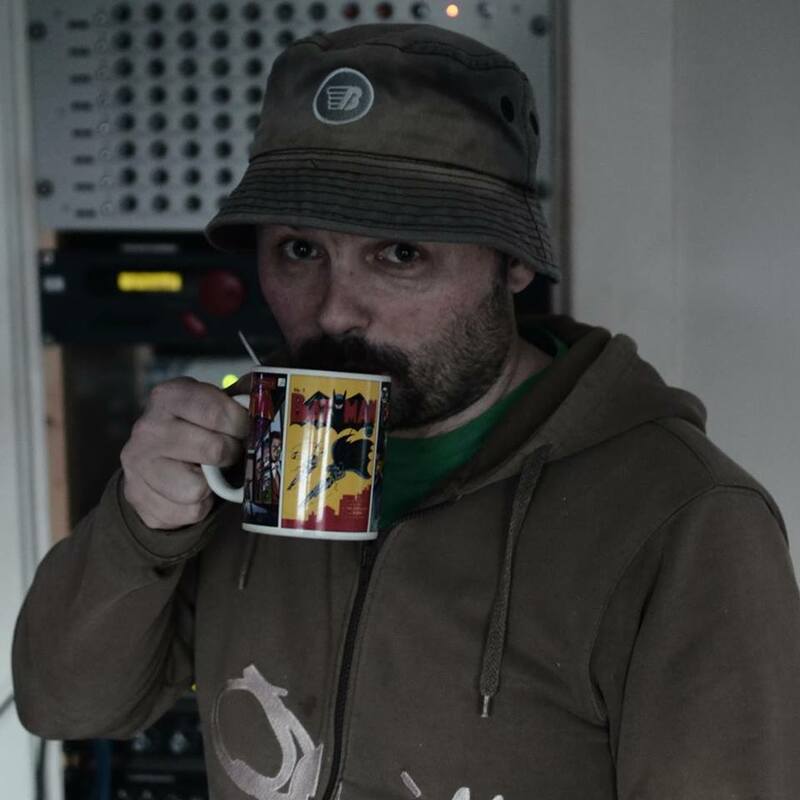 The solid beats of DJ Stix (Steven Hunt one half of the Dub Pistols) The funky, laidback breakbeat with unidentified Sci-Fi film sample. Essen plays with more breaks keeping it dark. Finally the strongest and most commercial track is by Raw Deal with vocals by Thiaba Daece, strong breaks over a horror film soundtrack, ice cold soul. 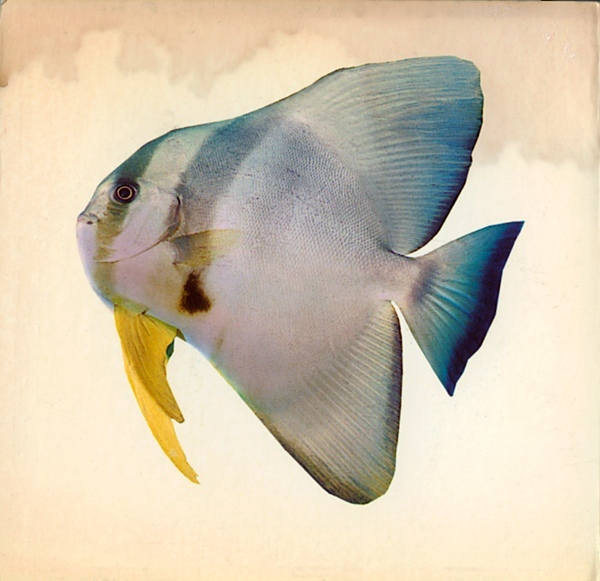 Back to the fish and the very first Volume series, the one with glossy book and (er) fish. 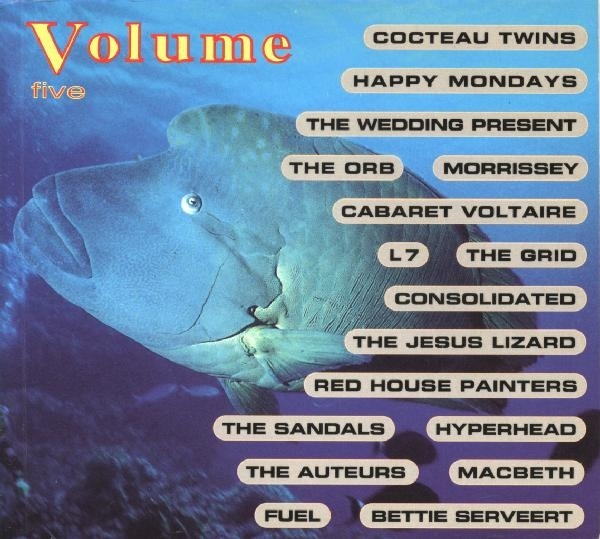 From 1991 and 17 tracks of great variety and exclusivity, I was sold on the line up and bought it from X Records in Bolton, where I lived at the time. Starting with the hypnotic and psychedelic “Love Mad” , the tracks just get better and better, with exclusive (for the time) remixes like the New Order and Orb ones. I’m chuffed to share it with you. Indeed R.I.P. Rob Deacon, the curator and visionary behind it all who sadly died in 2007.